The treatment of irritable bowel syndrome majorly revolves around relieving the patient from the symptoms associated with the condition, as the causes behind occurrence of irritable bowel syndrome are yet to be established. Patients suffering from irritable bowel syndrome show symptoms such as abdominal pain, diarrhea, and constipation. Long-term and recurring presence of these symptoms signals the possibility of irritable bowel syndrome. The treatment depends on severity of these symptoms, which are distinguished as mild, moderate, and severe. Mild symptoms do not significantly affect the quality of life. However, severe symptoms are more frequent and intense and need to be addressed. The disease is often linked with dietary, lifestyle factors, and stress, which can be controlled by managing stress levels, diet, and exercise. Severe symptoms need to be treated through medication prescribed by physicians. Two major therapy options are available for the treatment of IBS, namely, medical or drug therapy and nutritional therapy. Medical therapy includes drugs for relieving the symptoms and nutritional therapy by using fibers and probiotics or prebiotics depending on the situation. Some major players operating in the irritable bowel syndrome treatment market are Abbott Laboratories, Synergy Pharmaceuticals, Inc., Sucampo Pharmaceuticals, Inc., Valeant Pharmaceuticals International, Inc., Ardelyx, Inc., Astellas Pharma Inc., Novartis AG, GlaxoSmithKline plc., and Ironwood Pharmaceuticals, Inc. The rise in number of gastrointestinal disorders are leading to increasing prevalence of irritable bowel syndrome, for which various companies such as Ironwood Pharmaceuticals, Inc. as well as NGOs conduct mass workshops for educating the people to incorporate healthy food habits as a major precaution towards prevention of IBS. Furthermore, major growth drivers for the irritable bowel syndrome treatment market are expected launches of various pipeline drugs for the treatment during the forecast period and increase in levels of stress associated with changing lifestyle as people suffering from IBS have a colon with sensitivity towards certain foods and stress. According to a survey by Buscopan IBS Relief in 2016, stress was the cause for seven out of ten patients suffering from gastrointestinal pain. The large population of stress and anxiety disorder patients are expected to fuel the growth of the global irritable bowel syndrome treatment market. This report segments the global irritable bowel syndrome treatment market on the basis of drug type, medical condition, and distribution channel. 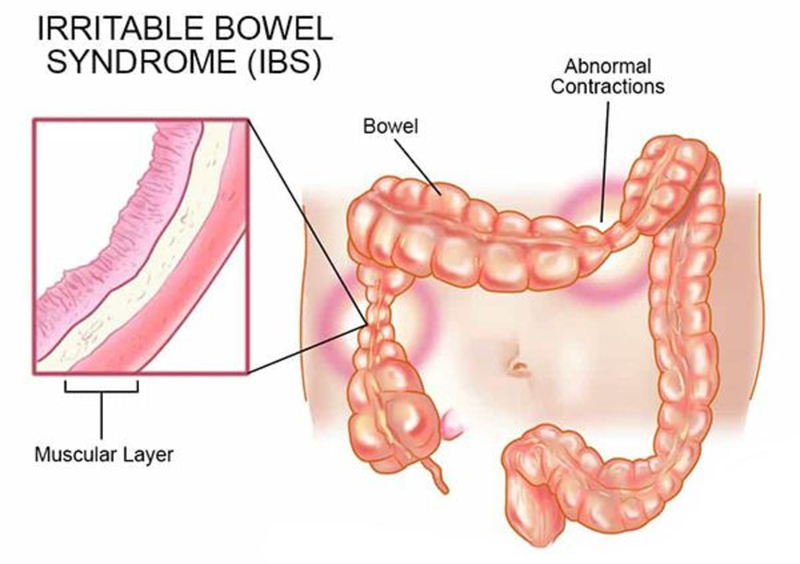 On the basis of drug type, the global irritable bowel syndrome treatment market is segmented into lubiprostone, linaclotide, eluxadoline, rifaximin, Ramosetron Hydrochloride and others. Medical conditions of irritable bowel syndrome includes IBS-constipation and IBS-diarrhea. Irritable bowel syndrome treatment market is segmented by distribution channel as hospital pharmacies, online pharmacies and retail pharmacies. Key companies covered as a part of this study include Abbott Laboratories*, Synergy Pharmaceuticals, Inc., Sucampo Pharmaceuticals, Inc., Valeant Pharmaceuticals International, Inc., Ardelyx, Inc., Astellas Pharma Inc., Novartis AG, GlaxoSmithKline plc., Ironwood Pharmaceuticals, Inc.